Two of Gordon Syron’s most esteemed and most well known painting works are now available as canvas reproductions with a laminate overlay. 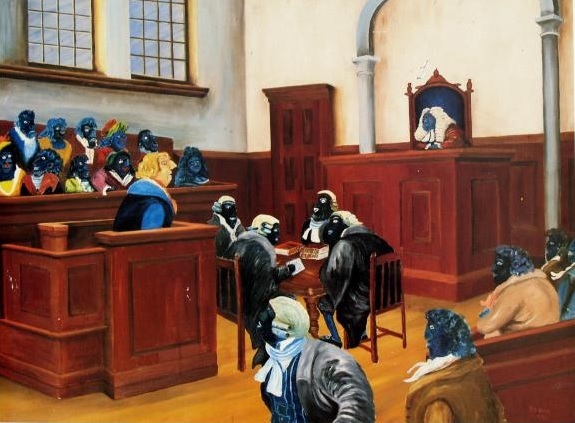 The works are “Judgement by his Peers” and “A Portrait David Gulpilil” – both signed on the back. They are currently on display at the Sydney office of the Aboriginal Legal Service for viewing. Price includes mailing costs. If you are interested please contact Elaine Pelot Syron on elainesyron@hotmail.com. 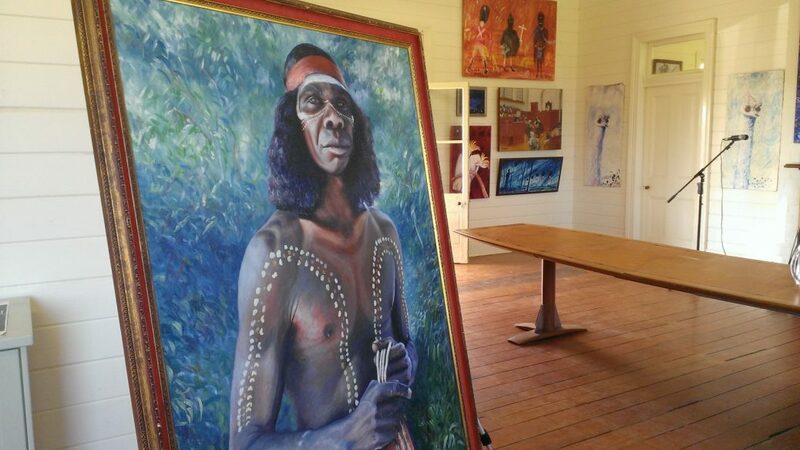 The picture above shows the original painting “A Portrait David Gulpilil” (c) Gordon Syron. Details of the reproductions are below.